※ 500 tickets will be sold at the pre-sale event. ※ Pre-sale event is available for purchase in Taiwan only and not applicable to overseas regions. ※ Ticketing time February 15, 2017 (WED) 01:26PM local time – February 18, 2017 (SAT) 01:26PM local time. ※ Pre-sale tickets will not be available online. First halves of special A and C zones will be provided according to purchase orders. ※ A list will be announced after the end of pre-sale event and published on the concert organizer’s official page. ※ Limited to four (4) tickets per account. ※ A QR code will be generated upon payment. The QR code is required to be presented to the staff at the official ticketing booth prior to admission on the concert day to redeem respective tickets. ※ Refund period deadline February 21, 2017 (TUES) 02:00PM local time. No refunds will be allowed after the deadline, so ensure you think carefully before purchasing. 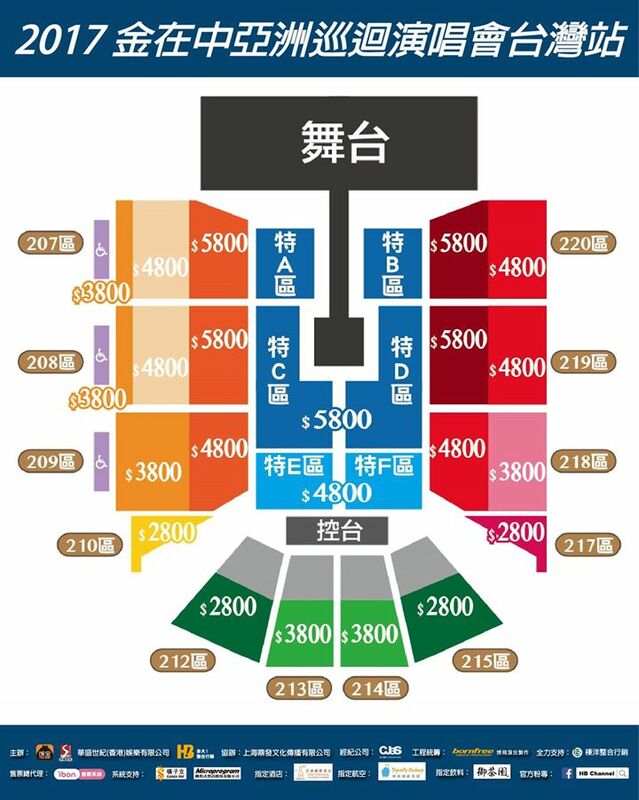 ※ A 3% refund fee per ticket will be charged for any refundments. Please use public transports as the roads around Kaohsiung Arena are prone to traffic jams. Kaohsiung Arena traffic information (http://www.k-arena.com.tw/traffic.aspx).